PLEASE JUST CLICK THE MENU BAR AT THE TOP LEFT OF THIS PAGE TO ENTER THE SITE. Products are being added regularly. 2 Machs Motorcycles is a small, family owned, motorcycle business run by Isle of Man TT champion, and ex-Norton factory rider, Ian Mackman. After 17 years of competing on and maintaining his own machines, from small two strokes to trials bikes to full blown superbikes. Ian was keen to put his knowledge gained from riding, repairing and racing motorcycles since the age of 9 to good use. A true motorcycle enthusiast, Ian can be found in virtually all areas of motorcycling. From commuting in all weathers, restoring/riding his pride & joy Yamaha RD350LC, running the local Cheshire Oset Cup trials series, competing in local club trials to taking on the biggest names in motorcycling at the Isle of Man TT. 2 Machs Motorcycles are happy to help with any of your motorcycling needs. Ian personally carries out all of the workshop services. Motorcycle servicing, repairs, Motorcycle tyres, performance parts, MOT, Fuel injection diagnostics etc. Race/track bike builds, repairs, preparation, suspension set up and dyno work. Ian will prepare your machine to the same standard as he would his own race bikes, 17 seasons of racing gives a huge amount of personal experience! From 2017 Ian has been employed as a Race Engineer with the factory Norton team for their TT campaign with riders Josh Brookes, Davo Johnson & Joh McGuiness. High pressure pitlane wheel changes are a speciality! One-to-One Trackday and Race instruction , a previous instructor with the Ron Haslam race school Ian can provide professional on track tuition. Transferring some of his years of race and track experience, he will help to make you a safer and faster rider. Video footage is used as a training aid, with de-briefs after each session. Please call for full details. Motorcycle Restorations. We have good experience in restoring and building bikes from the ground up. Powder-coating, polishing, engine refurbishment etc, we can cater for your classic bike needs. Recent machines restored include a Yamaha RD350LC/RGV/YPVS hybrid built from boxes of spares and a Honda CB400/4 stripped and rebuilt from 32 years of storage! Motorcycle Valeting. We are now able to offer a full valeting service for your bike too. 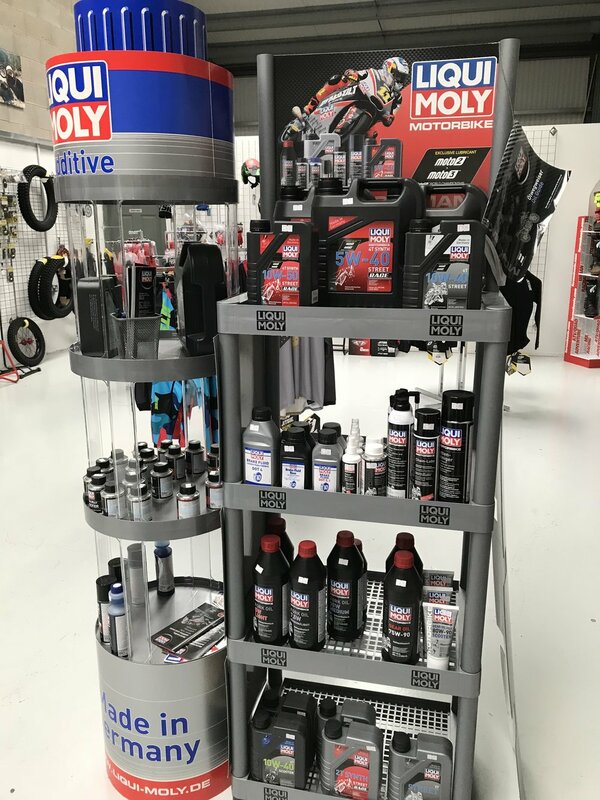 This alongside winter or spring servicing and preparation, get your bike sparkling and ready to ride for the new season. Trials Specialists: Ian, & his Wife Jo, founded and run the Cheshire Oset cup alongside being a huge fan and fountain of knowledge on this growing brand of electric bikes. 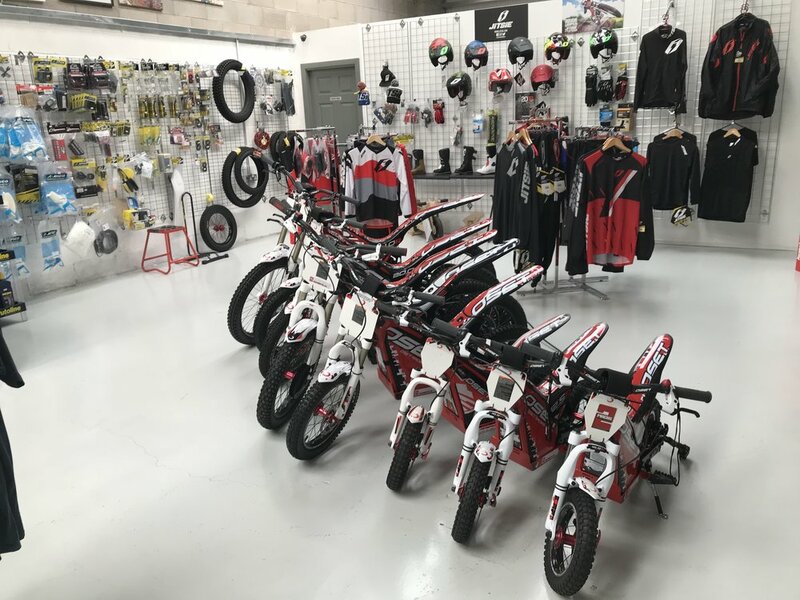 2 Machs hold stock of the full range of new Oset machines alongside a large stock of Oset spares and kids trials clothing. New and Used trials machines are always in stock. We always have a good range of trials bikes, spares and clothing so please call or why not pop in for a look. Ian also competes in local trials himself on the upcoming Electric Motion lite trials machine, just ask for a demo! We are always happy to help in any way possible, if you don’t see what you’re looking for then please just ask! Give us a call or why not come down to our premises in Northwich, Cheshire for a brew and chat!